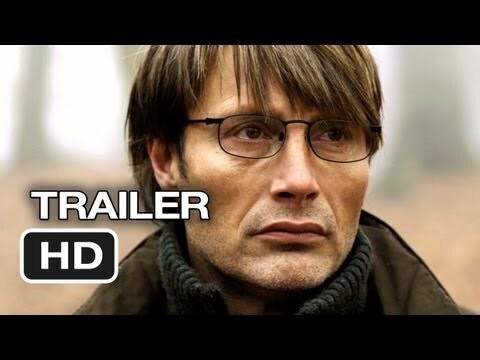 A teacher lives a lonely life, all the while struggling over his sons custody. His life slowly gets better as he finds love and receives good news from his son, but his new luck is about to be brutally shattered by an innocent little lie. 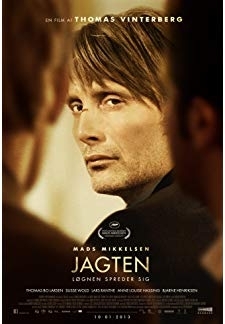 © 2018 Scratchu.com Jagten | Mads Mikkelsen, Thomas Bo Larsen, Annika Wedderkopp, Lasse Fogelstrøm, Susse Wold, Anne Louise Hassing, Lars Ranthe, Alexandra Rapaport, Sebastian Bull Sarning, Steen Ordell Guldbrand Jensen, Daniel Engstrup, Troels Thorsen, Søren Rønholt, Hana Shuan, Jytte Kvinesdal - Jagten (2012) | Danish Movie | 8.3/10 | Synopsis : A teacher lives a lonely life, all the while struggling over his sons custody. His life slowly gets better as he finds love and receives good news from his son, but his new luck is about to be brutally shattered by an innocent little lie.... Watch Online!! !